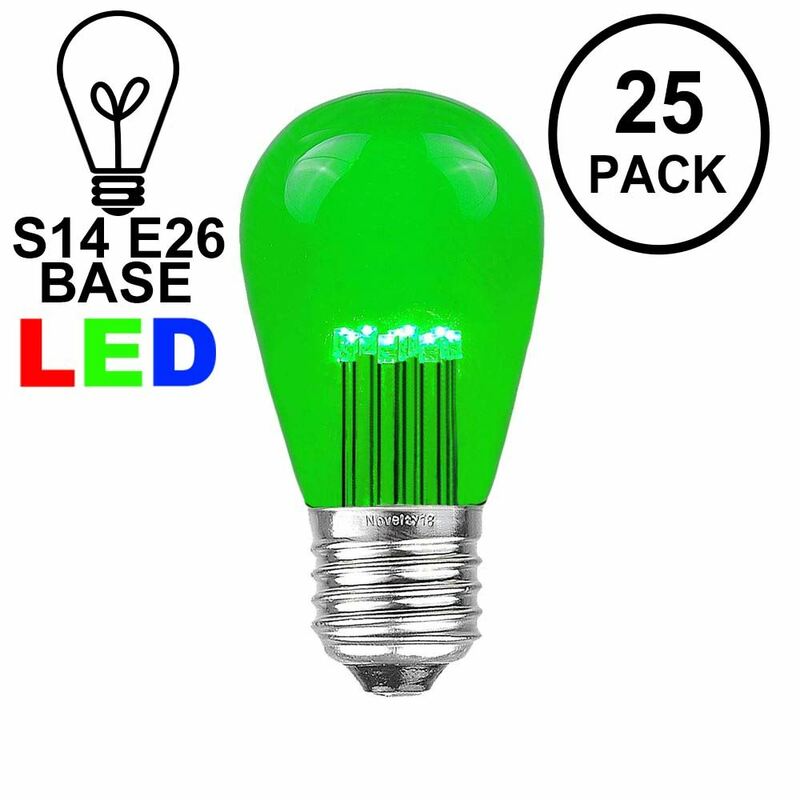 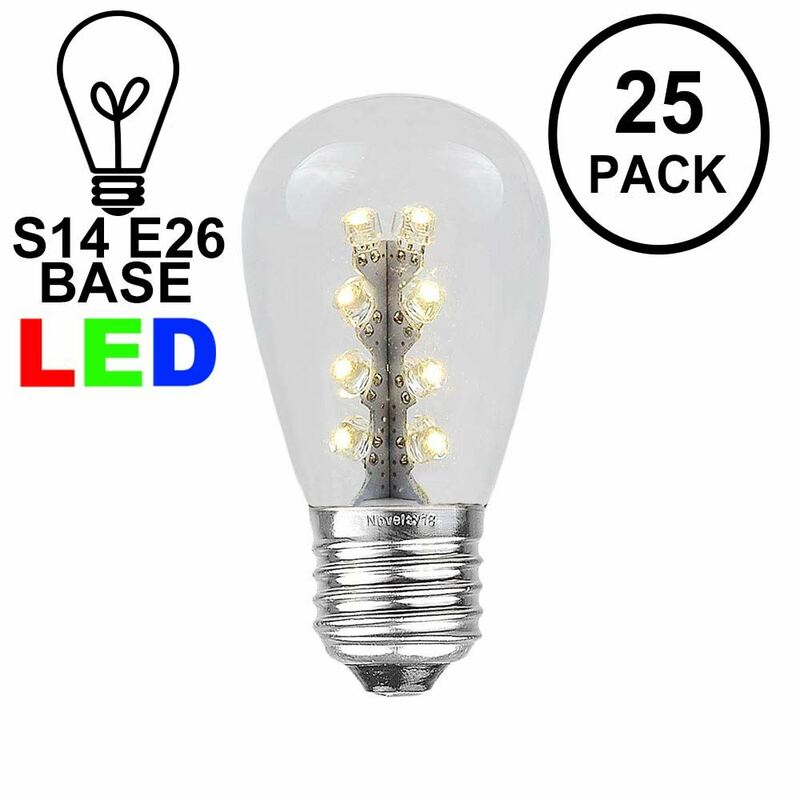 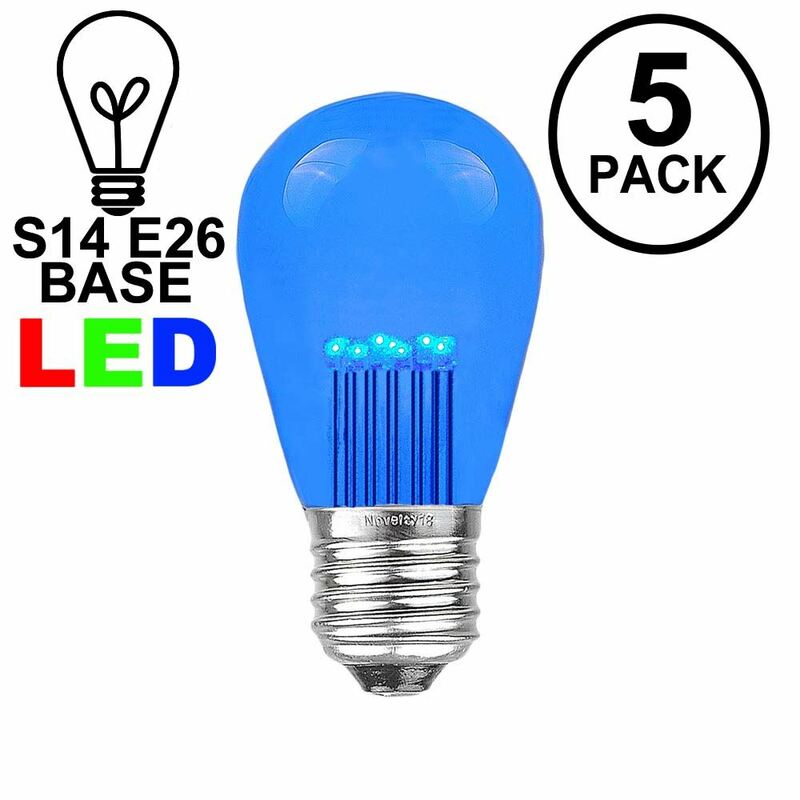 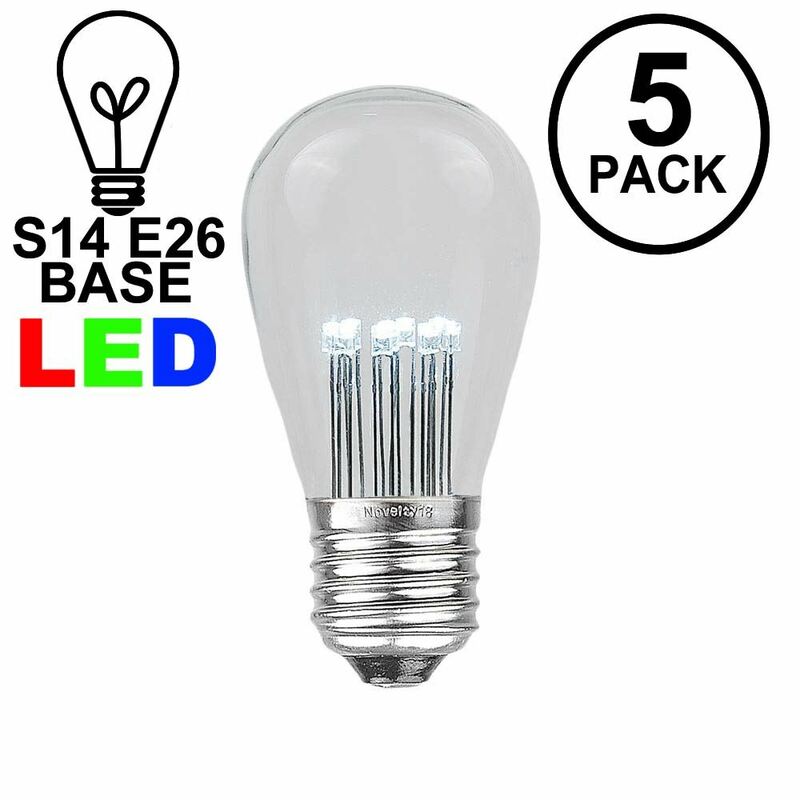 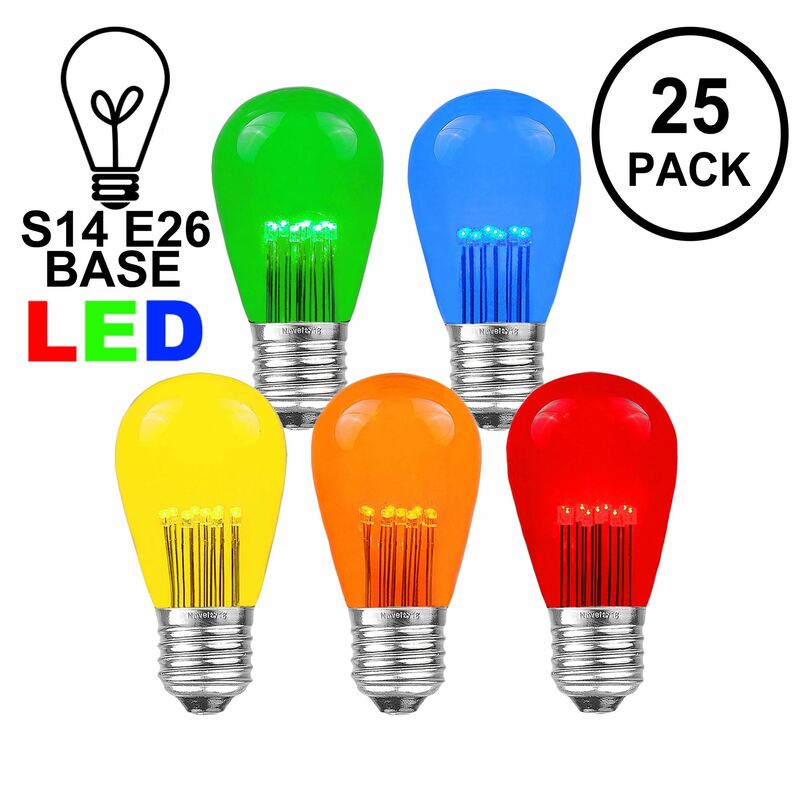 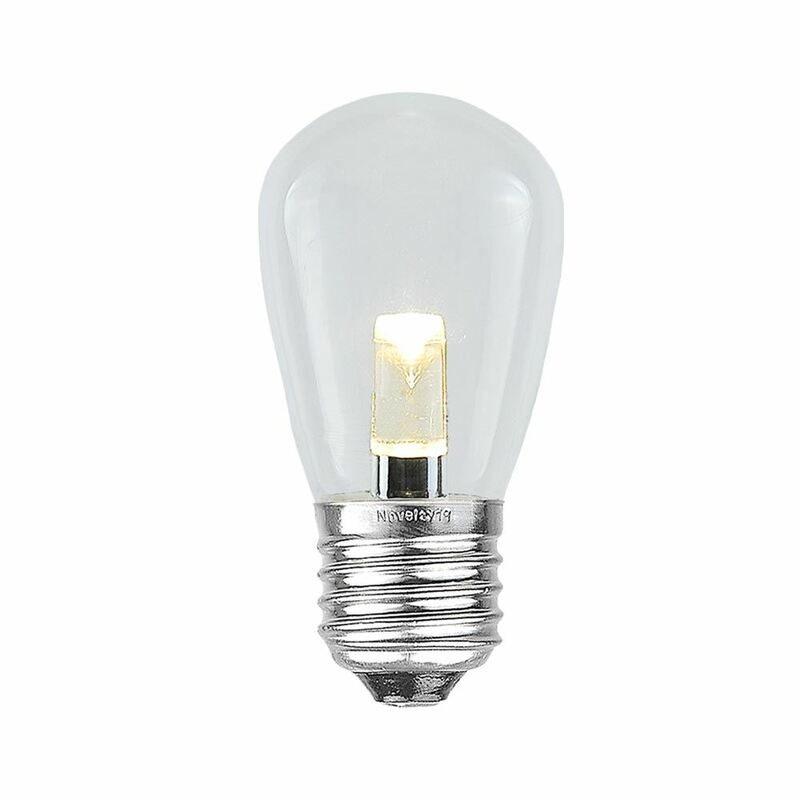 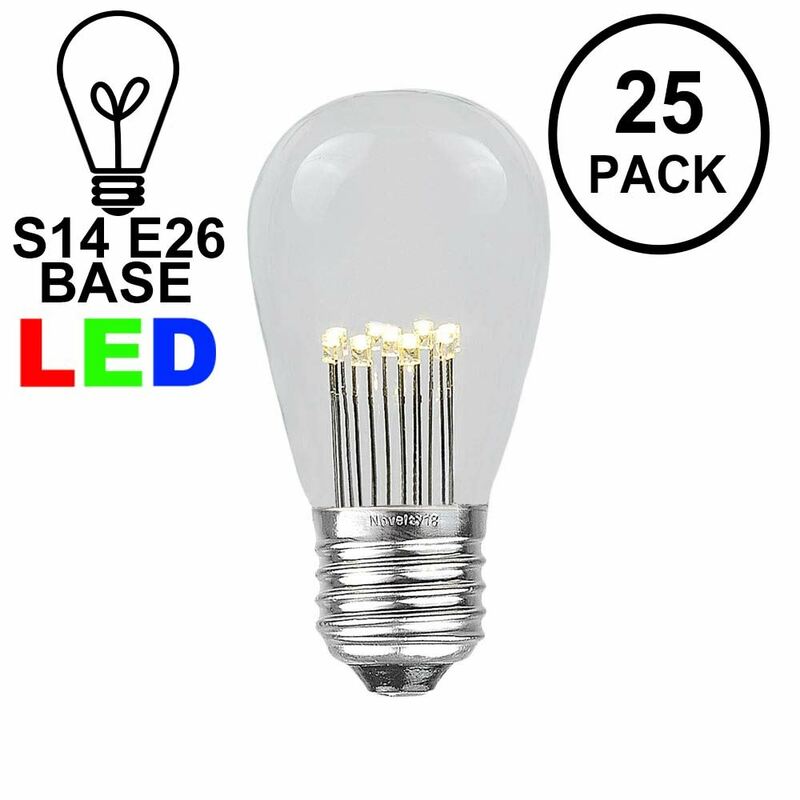 Buy S14 bulbs for use with our Commercial Grade Light Strings. 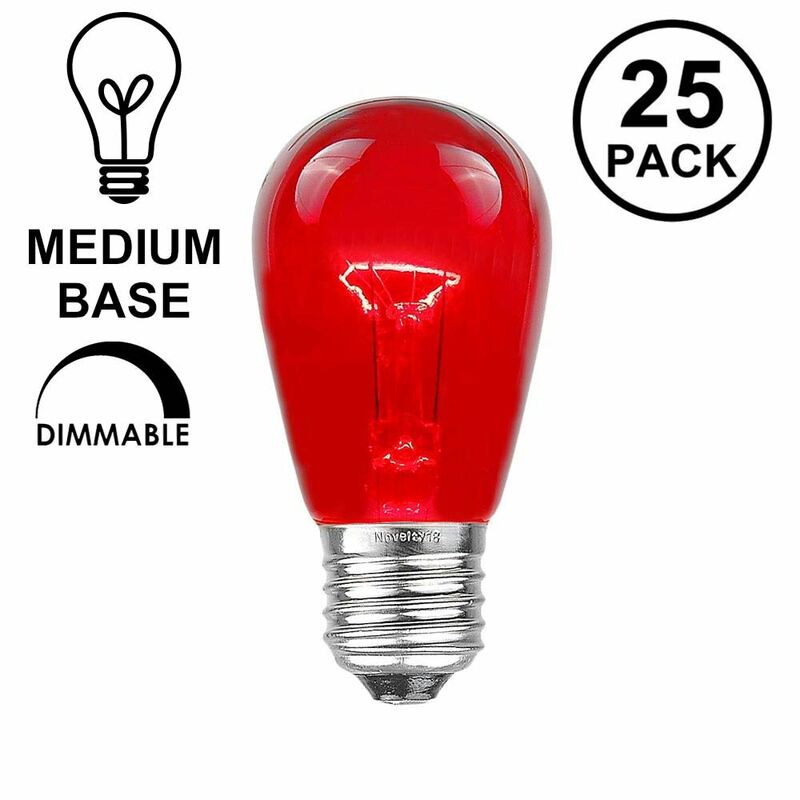 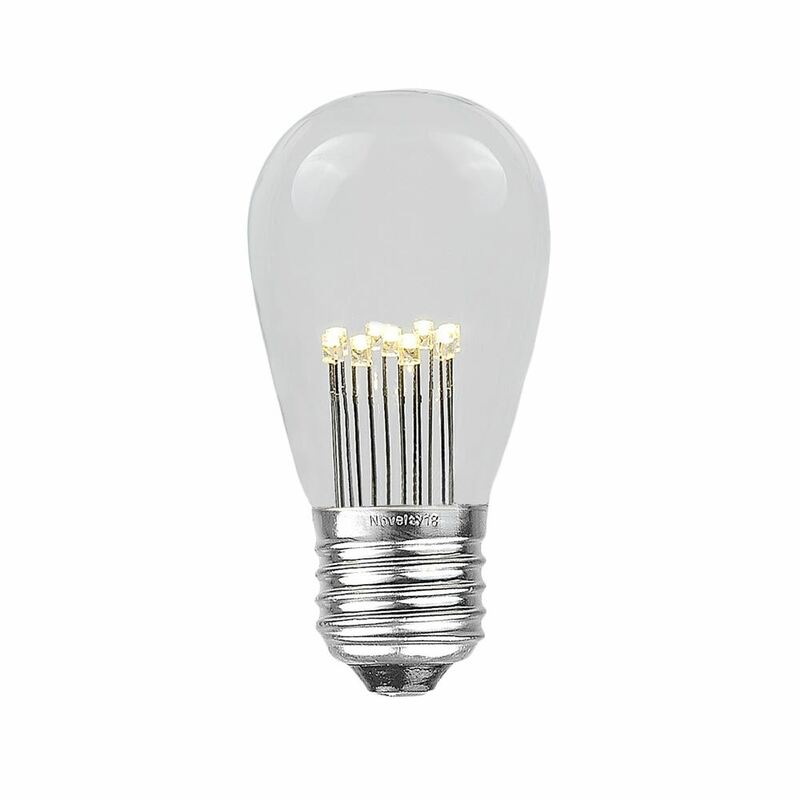 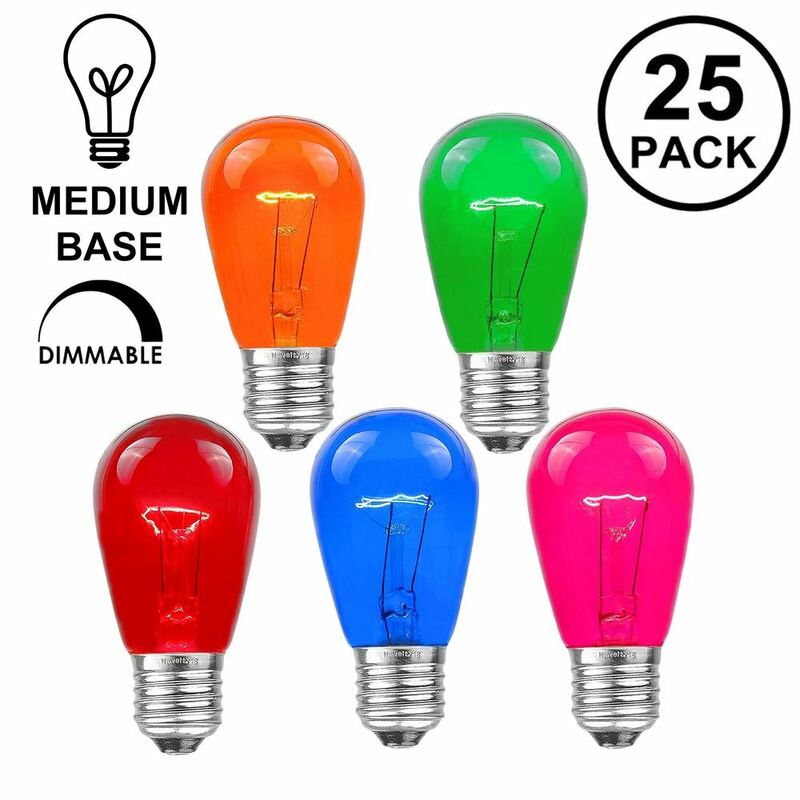 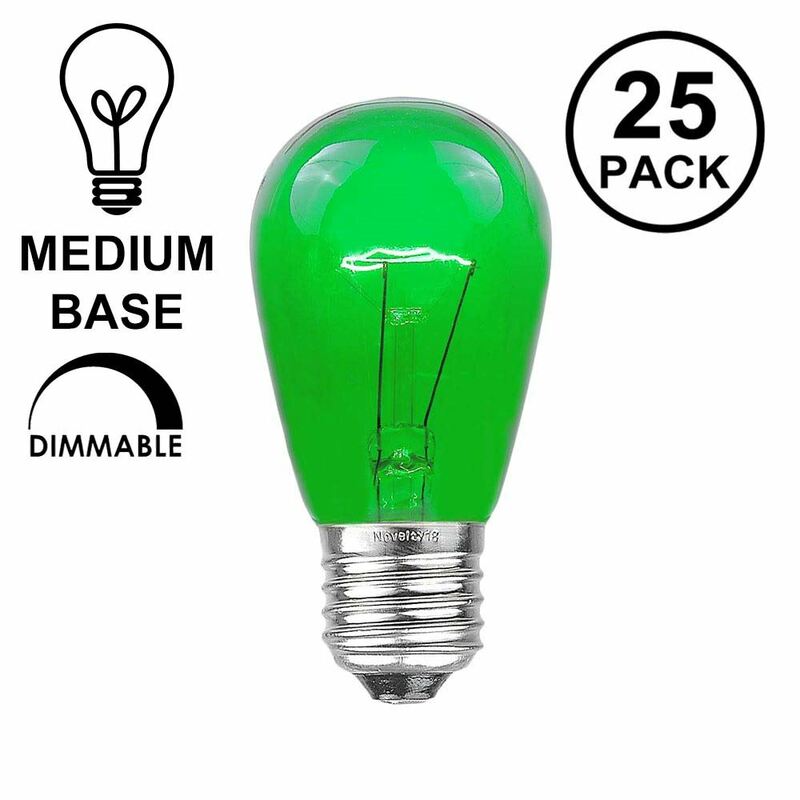 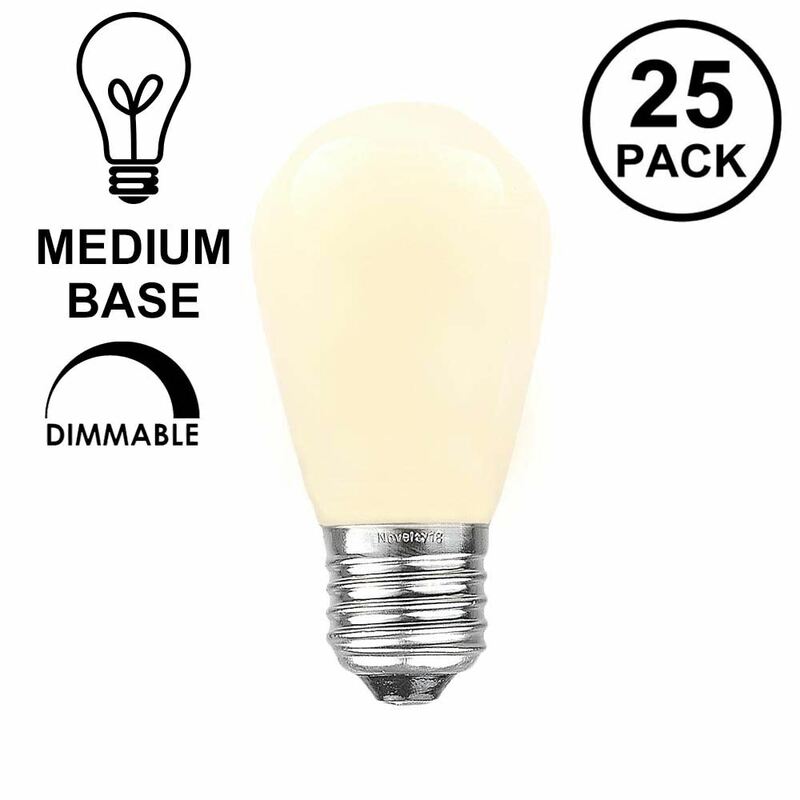 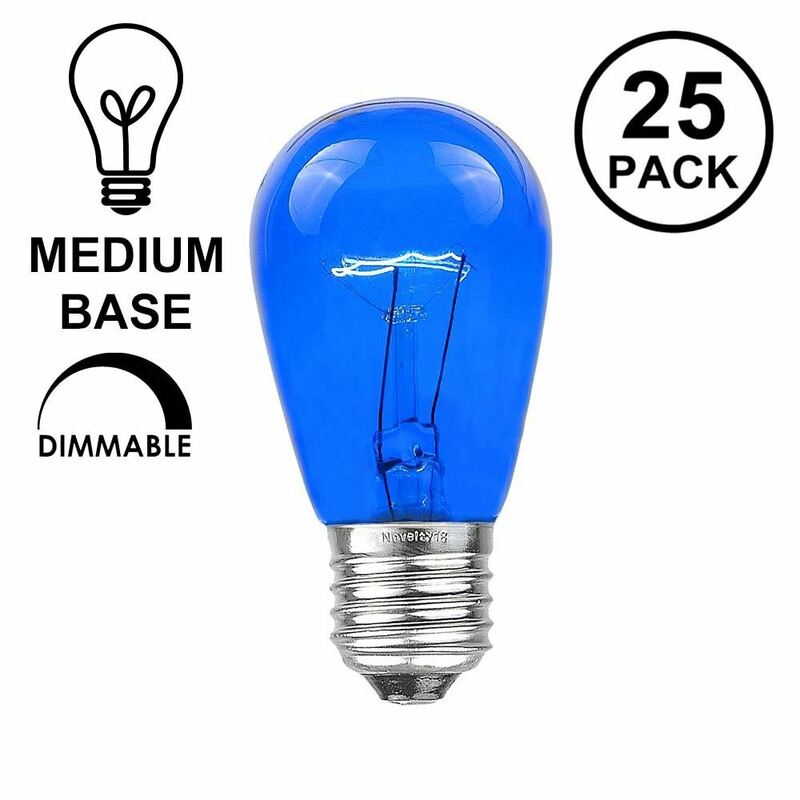 Our incandescent 11 watt bulbs have a Medium Base (E26) and are for indoor and outdoor use. 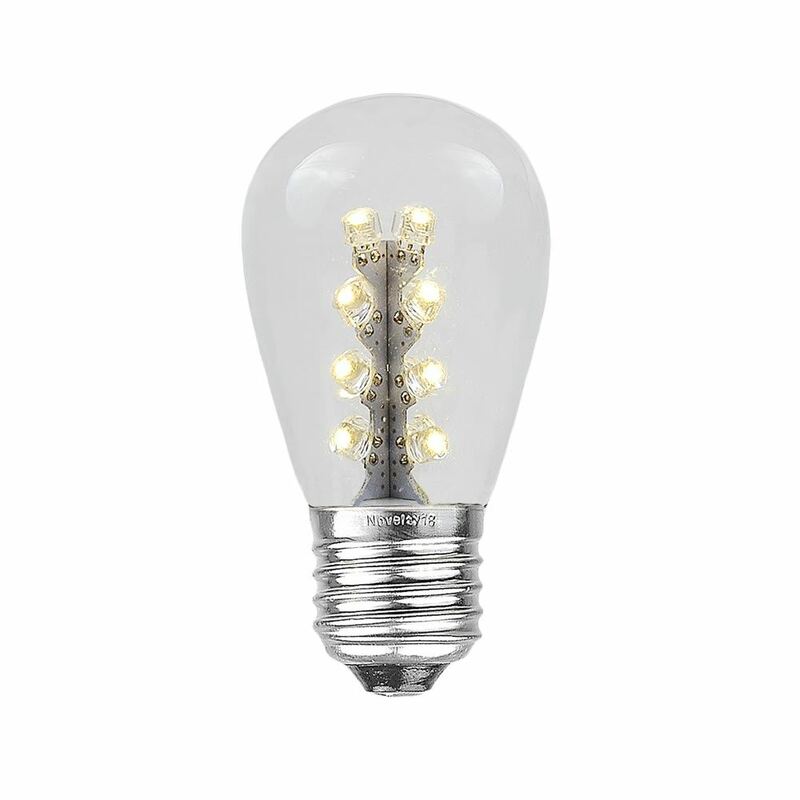 Or choose, our stunning LED S14 bulbs for an energy efficient lighting solution that will last for years! 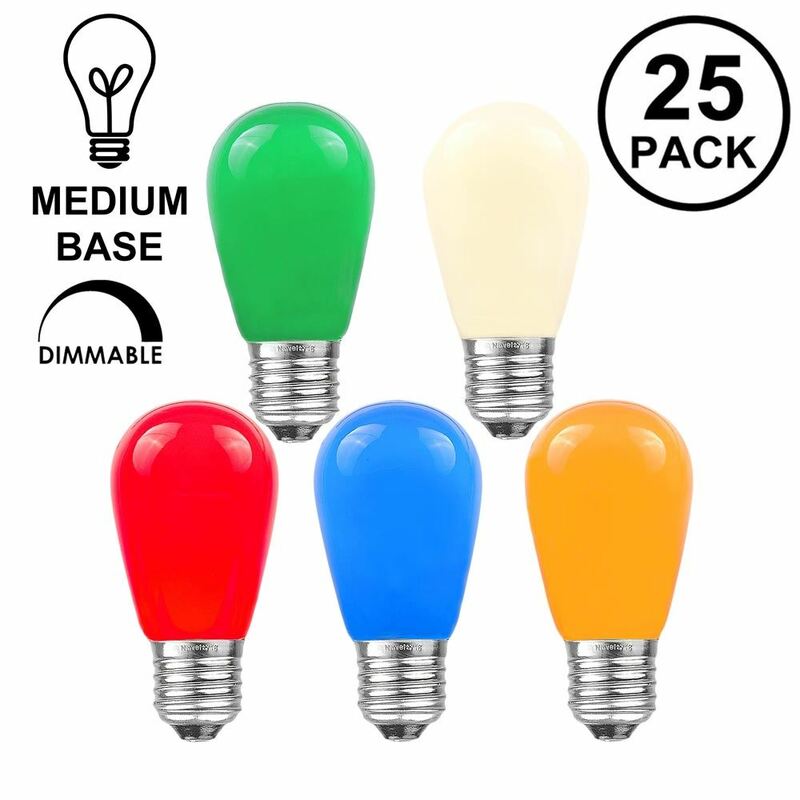 Sold in packs of 25 and available in Warm White, Pure White, Clear, Transparent Red, Transparent Green, Transparent Blue, transparent assorted, Ceramic assorted and ceramic white.